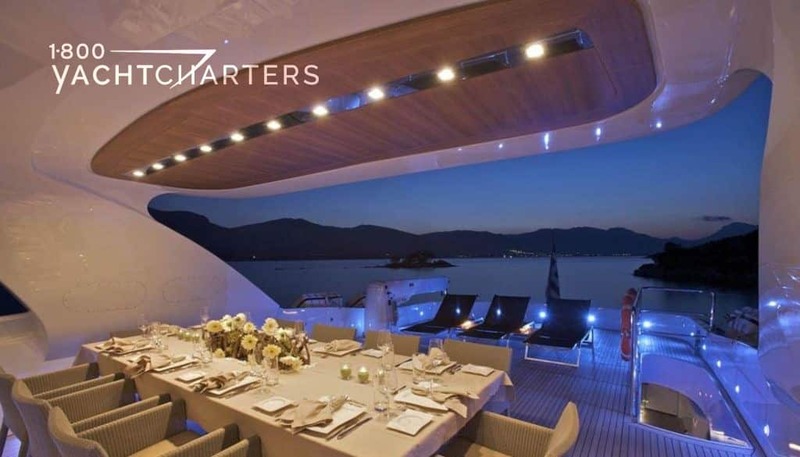 The Italian-designed motor yacht O’PATI turns heads as one of the flagships for luxury Greece yacht charters. 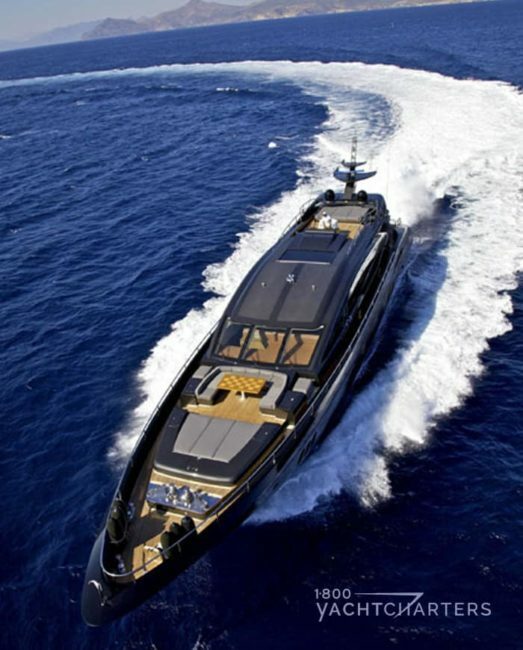 At 40 meters in length, Golden Yachts new mega yacht O’PATI can accommodate 10-12 guests in 5 cabins. 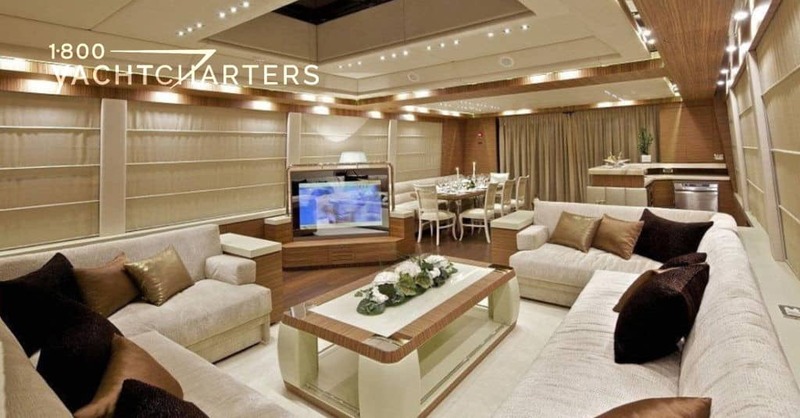 The master cabin has a king bed, while two VIP cabins offer queen beds and two guest cabins feature twin berths. 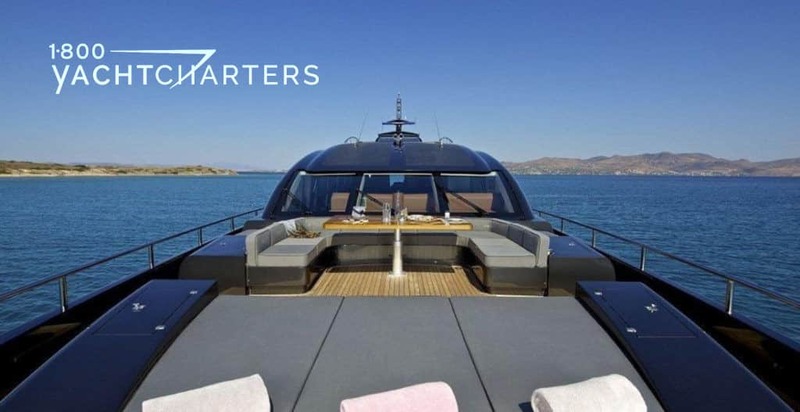 One of the latest projects designed by Giorgio Vafiadis, the 40 meter motor yacht O’PATI, was built at the Golden Yachts shipyard, and is available for Eastern Mediterranean yacht charters. With her long profile, elegant yet sporty, this megayacht has a hull of significant volume, with a low and sleek superstructure – and high sides, which are visibly lightened by lateral portholes and ample windows. The multiple open-air spaces come complete with simple and essential furnishings, with large sun decks and areas for outdoor living. The front deck is furnished as a living area, with a C-shaped sofa and a central table for open air dining. There is an additional sun bridge above the hard top. The main deck is dominated by the two-tone interiors, where modern style and luxury are blended in a strong contrast between black and white. 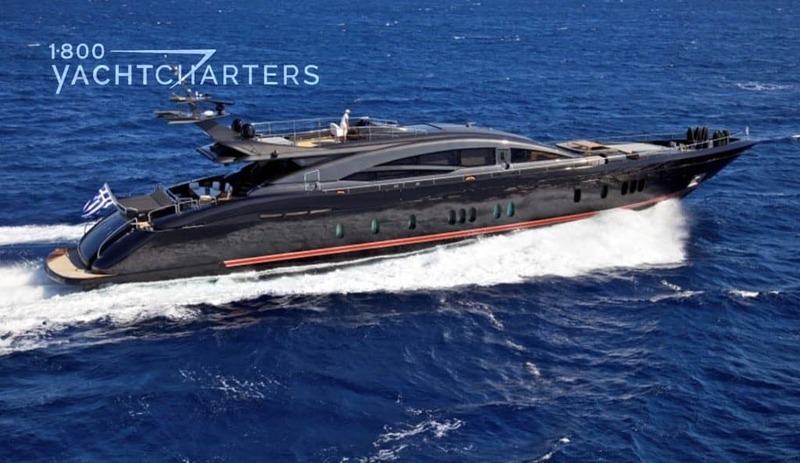 Both exterior and interior of the superyacht were created according to the owner’s wishes. The living area was designed in a black and white color theme with the incorporation of crocodile leather and Swarovski crystals in the wall paneling and furnishings of the guest cabins. Powered by three MTU 16V 2000 M 93 , 2400 hp each, the yacht will be able to achieve a top speed up to 35 knots and a cruising speed of 31 knots.